Completed: 5-6 316, 5-7 The Life and Death of Jeremy Bentham. 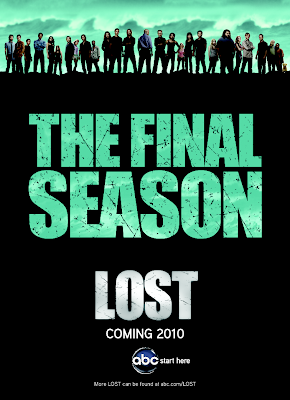 Just 10 episodes left, & 46 days till the Lost Season 6 premier. 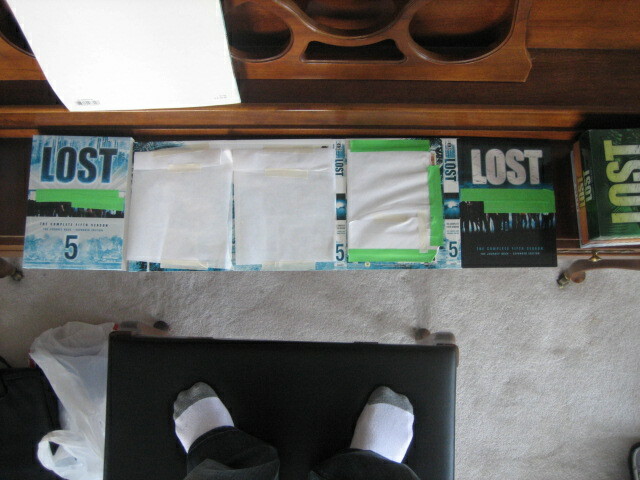 As you know, I don’t know anything that is to come and like the survivors I am completely lost. I’m getting ready to hit the panic button because I’m only 10 episodes away from joining you in Lost realtime and I don’t have nearly enough answers. I fear for the season 5 cliff hanger. First the recap: Jack, Other Ben, Desmond & Sun go to the secret Dharma station in the church with Mother Time (Eloise Hawking) and she explains to them how there are pockets of strange EM all over the world. Apparently people have been searching for magic island for a long time until someone figured out how to predict where the island would be next (the island is always moving which is one of the reasons the Losties were never found). Mother Time has calculated that they are now in a 70 hour window and Indian flight 316 is going to be flying through the area where the island will be. If the O6 can recreate as many of the 815 conditions as possible then the island might decide to bring them back. This apparently includes Jack putting Daddy Jack’s shoes on Locke’s dead feet. This news makes Desmond peace out but Other Ben, Jack and Sun decide to take the flight, along with Kate who decided at the last minute to ditch her adopted son, Aaron, for this adventure (plus banging Jack for good measure). When we get on the plane, Sayid (arrested) & Hurley are magically on board and Swoop (Frank) is coincidentally (not!) the pilot. After Jack reads Locke’s suicide note the plane begins to shake but the O6 are white flashed off the plane. Hurley, Jack & Kate are together at Sawyer & Kate’s love pool where they run into Jin. Then we get Locke’s story. Locke wakes up in Tunisia, the island’s exit point and home to where Other Ben jacked those locals up with his stick. The injured Locke is cared for by Mr. Widmore and is told there is a war coming and he has to get the O6 back on the island. Lt. Daniels (Matt) is assigned as his driver and one by one Locke fails to recruit the O6 for a encore viewing of magic island. 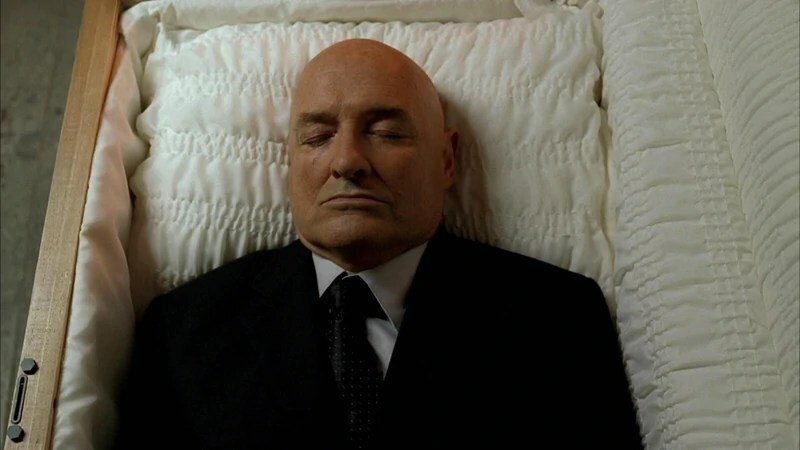 While visiting Locke’s old gf’s grave (Helen) Lt. Daniels is shot and Locke via a car accident checks into Jack’s hospital. Locke tries to pull out all the stops on Jack and tells him that Daddy Jack is walking around on the island and says, “Hi”. Once that fails Locke decides to kill himself but is rescued by Other Ben. And when I say rescued I really me he gets Mother Time’s name out of Locke and then strangles him and makes it look like a suicide!! 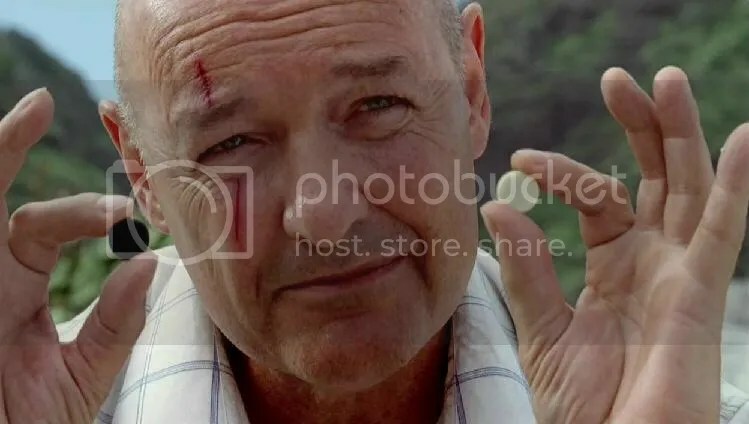 Cut to Locke alive and well on the island (presumably on Other Island) and explains to some newbies that he’s been on the island before and was killed. Locke is then taken to Other Ben and we are LOST black-screened. Once you turn the wheel you can never go back to the island. FALSE! He told Sun he didn’t know why Jin wanted her to think she was dead. FALSER!! He told Jack he didn’t know Locke committed suicide and didn’t know he left Jack a suicide note. FALSEST!!! 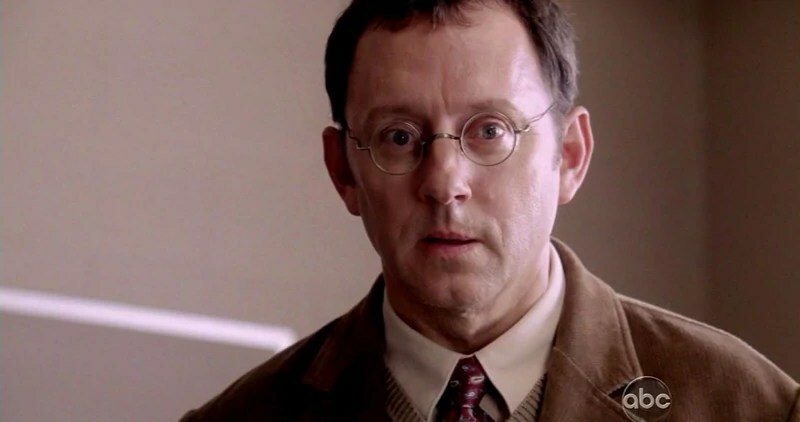 Next on Finally Lost…I get to watch this LaFleur episode everyone keeps raving about. Hopefully it’ll make me not as frustrated with the writers! !